Gerganova V, Maurer S, Stoliar L, Japaridze A, Dietler G, Nasser W, Kutateladze T, Travers A, Muskhelishvili G.
J Biol Chem, 290:8095-109 (2015). Bohner G, Gustafsson N, Cade NI, Maurer SP, Griffin LD, Surrey T.
J Microsc, 261:67-78 10.1111/jmi.12316 (2015). Cytoplasmic mRNA transport along microtubules is an essential mechanisms of symmetry breaking required for many biological processes as synaptic plasticity, axis determination during development and cell migration. Remarkably, mRNA transport is only one aspect of transcript-cytoskeleton interaction: different types of RNAs are transported along microtubules, bind to different microtubule regions and RNA binding proteins regulating gene expression bind and regulate the microtubule cytoskeleton at the same time. 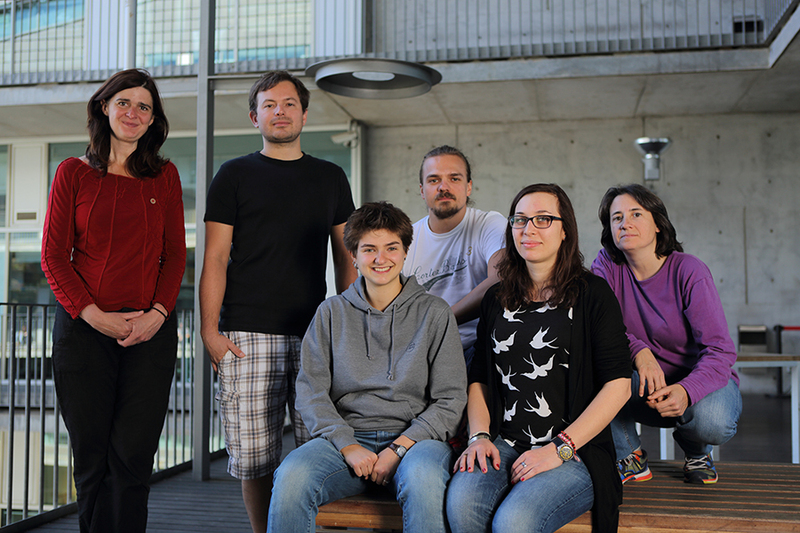 Our lab wants to understand of how cells transport and anchor mRNAs and how mRNA transport and translational control are mechanistically connected. In order to understand these processes, we aim to uncover how the complex RNA distributions observed in cells are generated through the intrinsic properties of the involved factors. To this end we employ a bottom-up approach to reconstitute mRNA transport complexes and sub-complexes from purified, recombinant mouse proteins and in vitro transcribed mRNAs and mRNA-fragments. We combine data from ensemble and multi-colour single-molecule fluorescence microscopy assays, biophysical analytics and newly developed high-throughput protein-protein and protein-RNA interaction screens. Biochemical in vitro reconstitutions strategies have been used successfully in the past to unravel the functional principle of complex enzymatic machineries which includes cytoskeletal- and transport-systems. It is now timely to undertake a systematic bottom-up approach to answer the many fundamental questions unanswered in MT dependent neuronal mRNA transport systems: What is the minimal set of components needed to transport an mRNA along microtubules? Which principles determine number, species and destination of transported RNA? How is mRNA cargo release at the destination controlled? Detection of direct interactions within RNPs and between RNPs and microtubules: We created libraries of full-lengths RNA binding proteins (RBPs) and microtubule associated proteins (MAPs) and develop new high throughput screening approaches for the detection of direct interactions between these proteins and these proteins & RNAs. RNP-motor coupling: We use interactions found by our new screens to reconstitute minimal kinesin and dynein-based RNA transport complexes. We use these reconstituted systems as experimental framework to analyse the functionality of known components of RNA transport complexes in a quantitative manner. Dual function of RBPs in transport and translational regulation: We test the effect of pure RBPs on translation regulation in microfluidic coupled microscopy assays.